From automating the lending process to making interactions with customer support more pleasant, AI and machine learning are providing a wide range of benefits and positive impact on the banking industry. 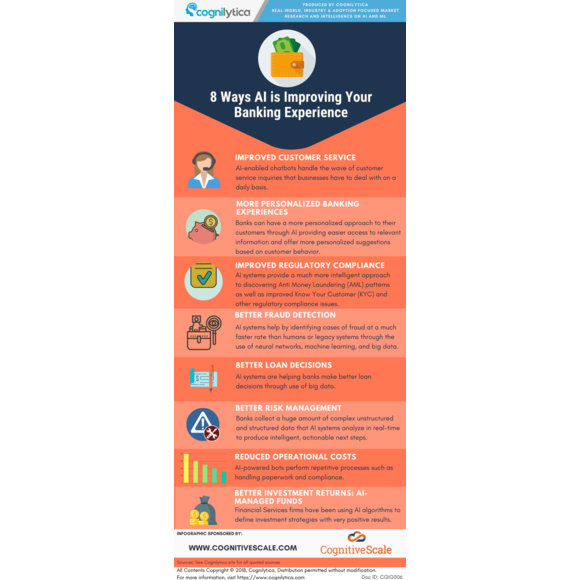 In this infographic, Cognilytica identifies eight ways in which AI is improving the overall banking experience and impacting the industry. 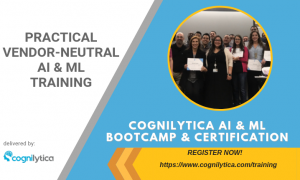 Augmented intelligence is a new class of technology, data, methods, and skills focused around a business-led portfolio of industry-optimized AIs. With people and machines working together to address some of the most complex enterprise problems, AI can drive transformative change within an organization, deliver true business outcomes quickly, and greatly improve shared employee knowledge when paired with machine-delivered insights.